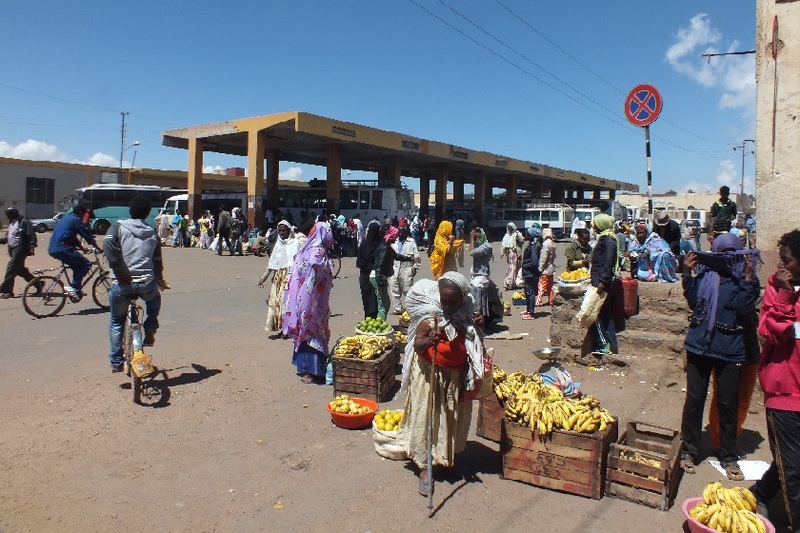 On my way to the shops in Afabet Street I watch the chicken market scenes not far from the Kidane Mehret Church. 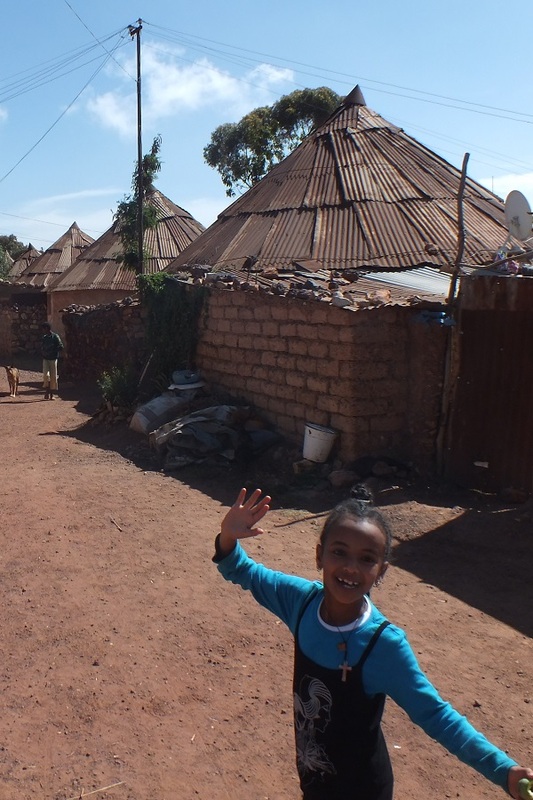 Making pictures is not appreciated, but I find it difficult to resist the temptation of picturing Asmara's everyday life. I don't want to come home with pictures of buildings and buses only. At the Massawa bus terminal I watch the modern intercity buses pass by. I visit the office of Harat Public Transport to check the ticket prices with the May 2011 data (calculating an 8% inflation per year on the average). When I pass the Edaga Hamus bus station a group of Somali immigrants observe my interest for the restaurant with the nice outside paintwork of the food sold inside. "If you want to have a nice lunch you should try this restaurant" they suggest. I decide to give it a try. The restaurant is very busy, which usually means the food is very much okay. A table is repositioned for the tourist, and carefully cleaned. I watch what the men are eating and ask for the name of the dish. "Frittata" is the answer. It is a mix of egg, patato, tomato, chily, and onion. With two fresh breads that should be broken down to serve as a spoon. I order zeitun as a drink. The rose colored fruit juice is fresh made of a local grown fruit. The frittata is very nice, and so is its price: 50 Nakfa for the lunch as a whole. I have to remember this restaurant for future lunches. From Edaga Hamus I walk into Acria and from there I follow the Asmarino's who know the shortcut uphill to Haz Haz. 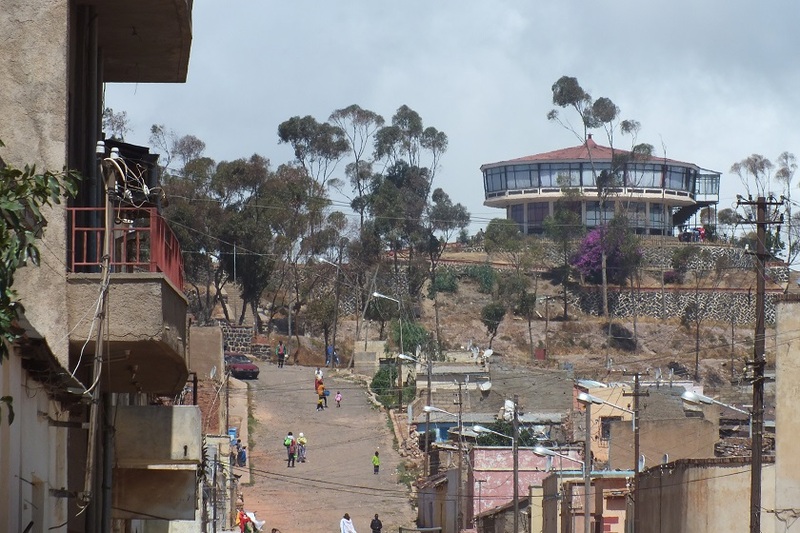 Hazhaz is a village in the northern part of Asmara. 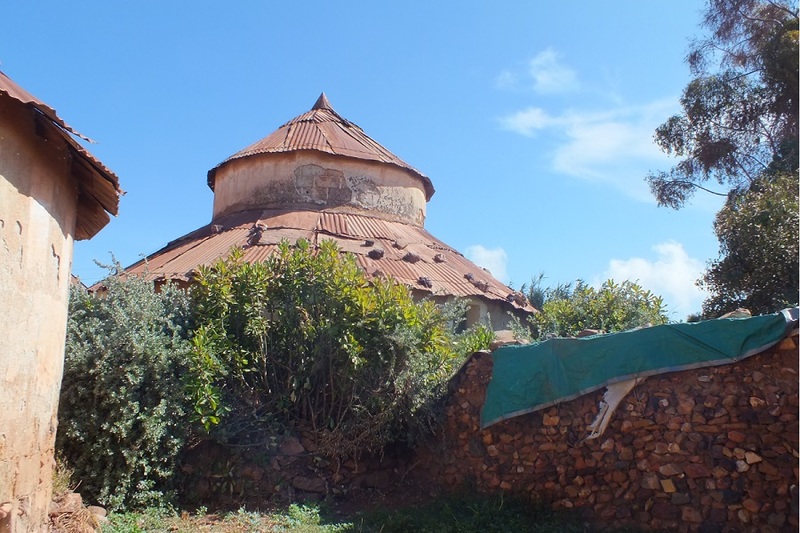 It is worth a visit because of the traditional houses and the view over Asmara from the edge of the red soil plateau. I feel free to snake through the small alleys between the houses with their conical roofs. Children are following me, asking me to picture them. "China! China!" they shout. I do not look Chinese, but I guess the kids are confused as most (non African) visitors of Eritrea are now from China that provides techical assistence in the communication indrastructure, construction of roads (Massawa causeways), mining activities (Eritrea-China Exploration and Mining Share Company (ECEM)), health care sector (the 200 bed Orota Referral Hospital), education (construction of a Science College at the Eritrean Institute of Technology) and public transport (Two hundred King Long buses). No other member of the UN Security Council will rationally support Eritrea for economic or strategic reasons. The US dog barks when China claims the Paracel and Spratly Island chains territory in the South Chinese Sea and give their firm support to Japan in its territorial disputes over the Kuril Islands with the Rusian Federation. But the same US supports Ethiopia which is illegally occupying Eritrean sovereign land (awarded to Eritrea by the Eritrea-Ethiopia Boundary Commission. 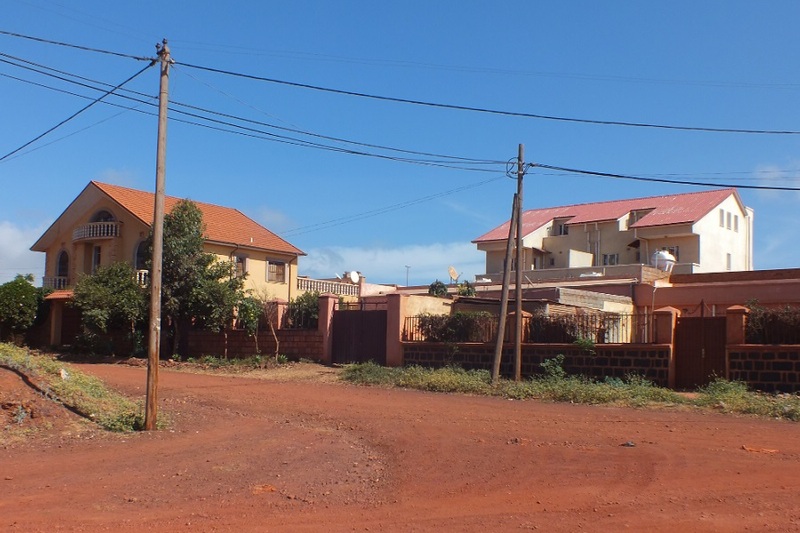 I will chose the 'common' route to return to the center of Asmara, a paved road starting from a modern housing complex on the edge of the plateau and HazHaz Hospital and then downhill through the Gheza Berhanu area. In Edaga Arbi I decide that loud Eritrean music will guide me to a local bar. "Hanti mai gaz and a double araki". 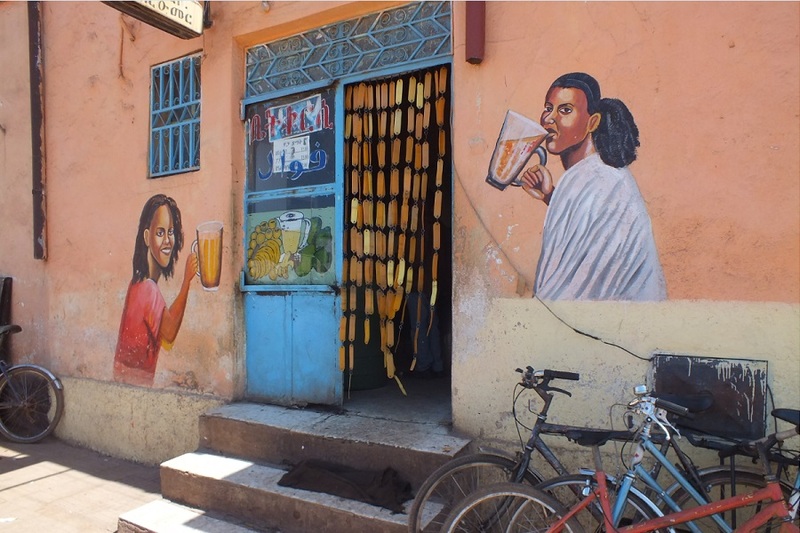 My kowledge of the Tigrinya language is still limited to a tourist's basic needs (a bottle of mineral water and a double shot of "araki", the local 45% anise drink) but the few words in Tigrinya are enough to win a smile of the owner of the bar. "From where you come?" he asks. When I tell him I am from Holland he replies "Holland is the best country!". He quotes some players of the Dutch national football team. Even he has a relative in The Netherlands. "Do you want me to change the music?" he asks. No, I was attracted to the music in the first place. I tell him I like the music, and shake my shoulder blades like the Eritreans to prove it. "You are an Eritrean!" he approves. 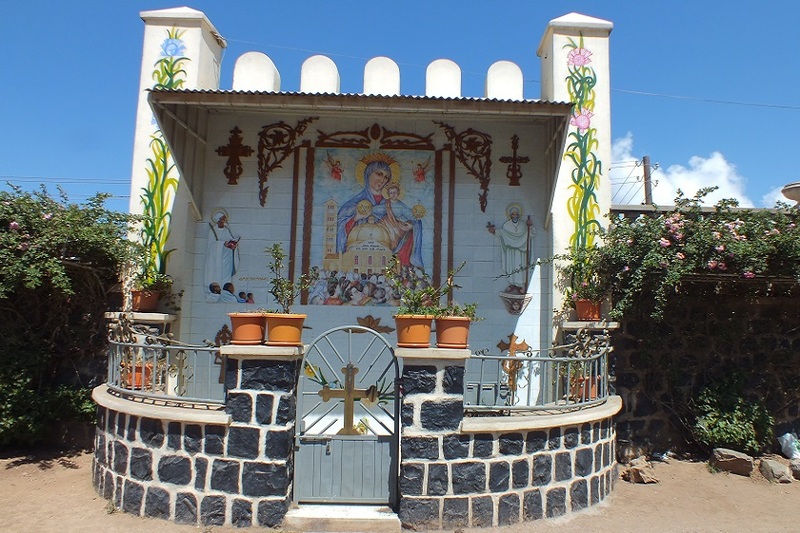 Lady Mary chapel - Kidane Mehret Church Asmara Eritrea. 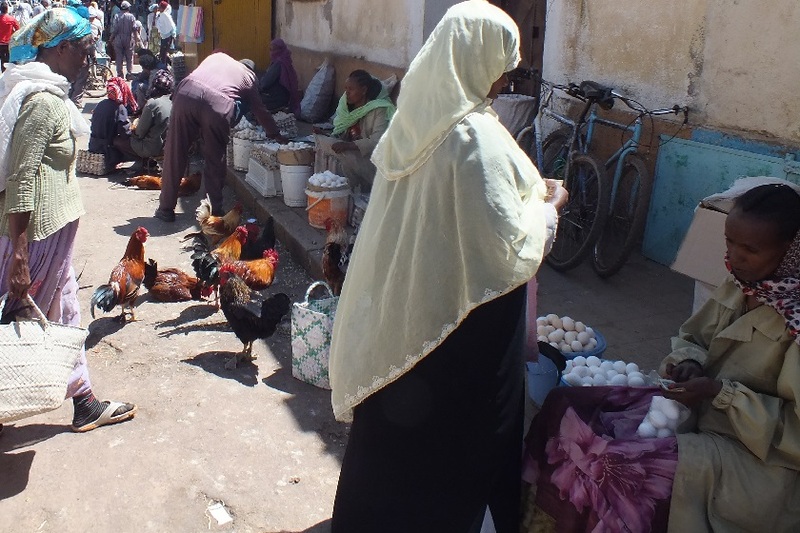 Chicken market scene - Afabet Avenue Asmara Eritrea. 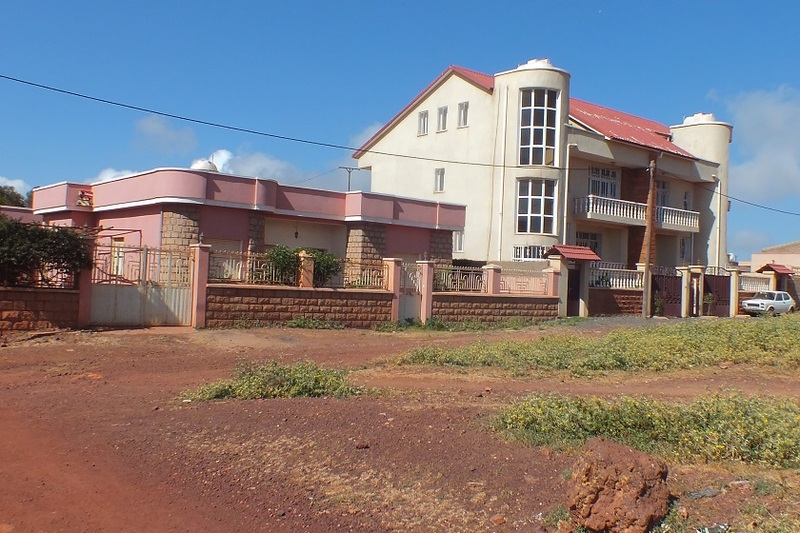 Gheza Berhanu and Cherhi Recreation Center - Asmara Eritrea. 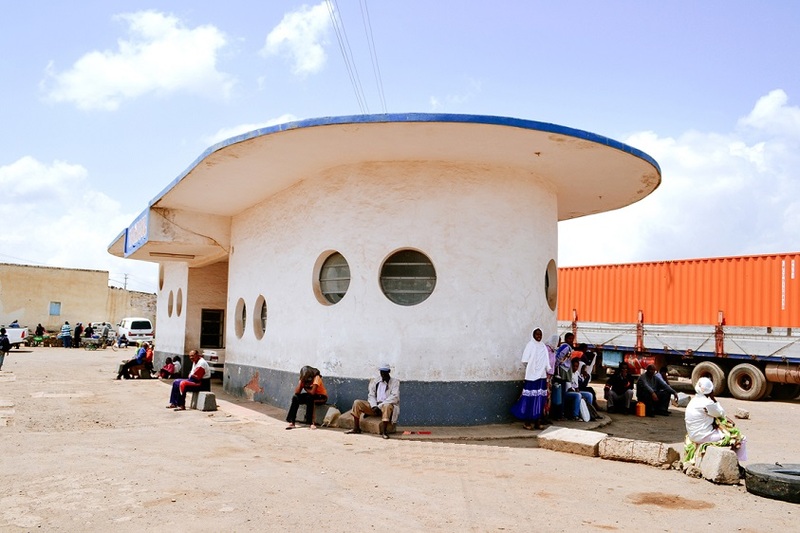 Massawa bus terminal - Edaga Arbi Asmara Eritrea. Banana truck - Souk Asmara Eritrea. Restaurant Naser Omer - Edaga Hamus Asmara Eritrea. Italian era garage - Edaga Hamus Asmara Eritrea. Chinese midi bus - Edaga Hamus Asmara Eritrea. 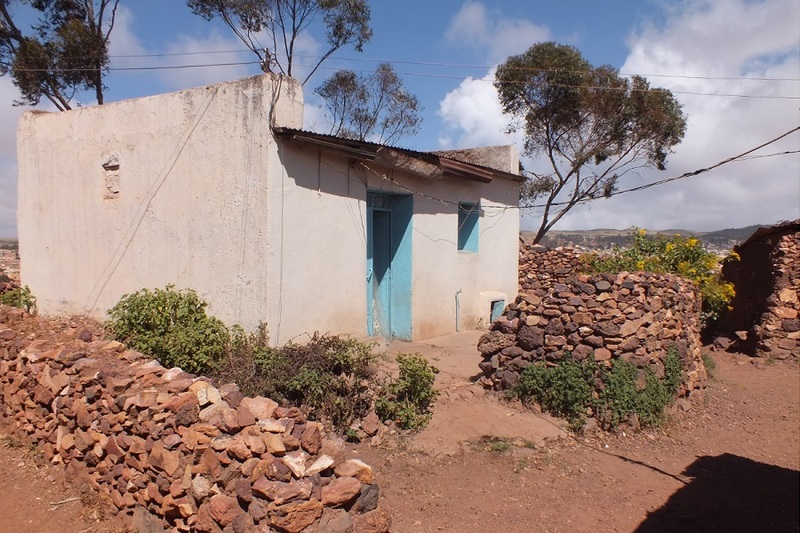 Traditional house - Acria Asmara Eritrea. Salena! (Picture me!) - Haz Haz Asmara Eritrea. 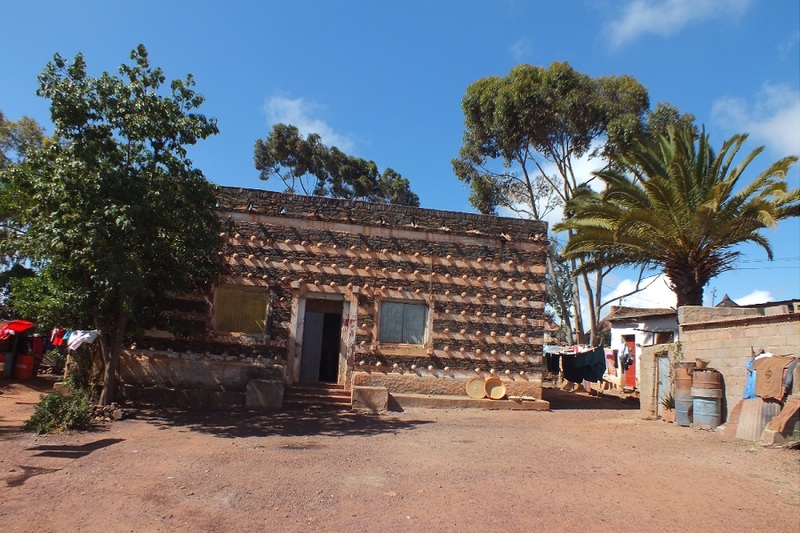 Traditional house (Agdo) - Haz Haz Asmara Eritrea. Italian era house - Haz Haz Asmara Eritrea. 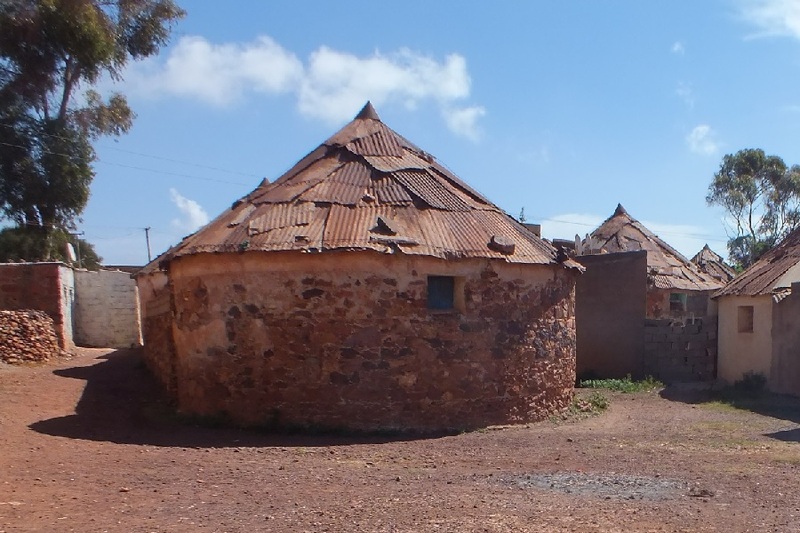 Traditional houses (Agdos) - Haz Haz Asmara Eritrea. 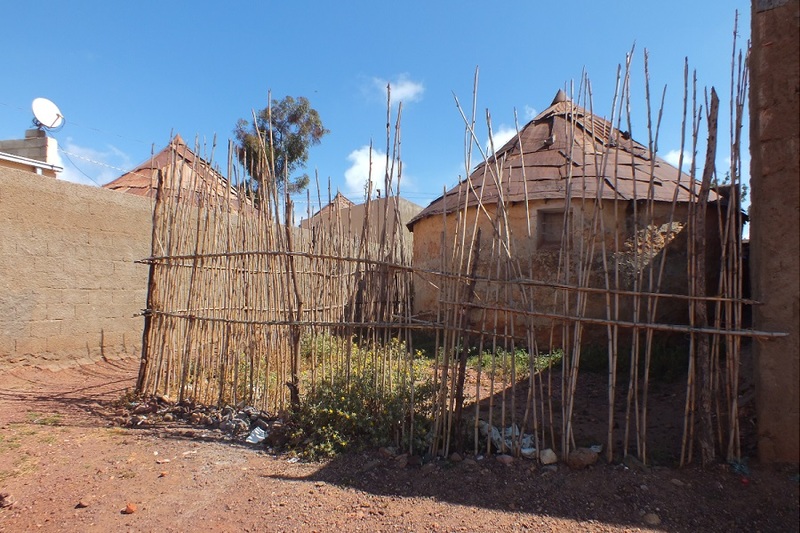 Two story agdo (traditional house) - Haz Haz Asmara Eritrea. Modern houses - Haz Haz Asmara Eritrea. 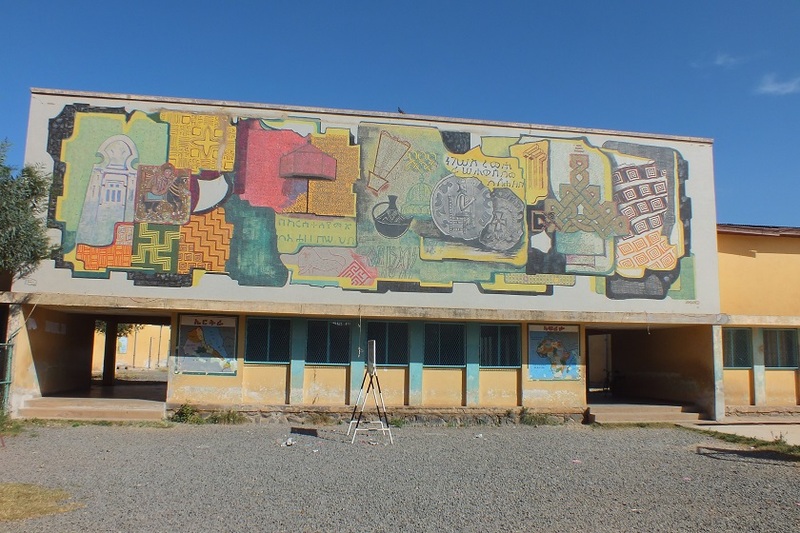 Bahti Meskerem Junior Secondary School - Haz Haz Asmara Eritrea. 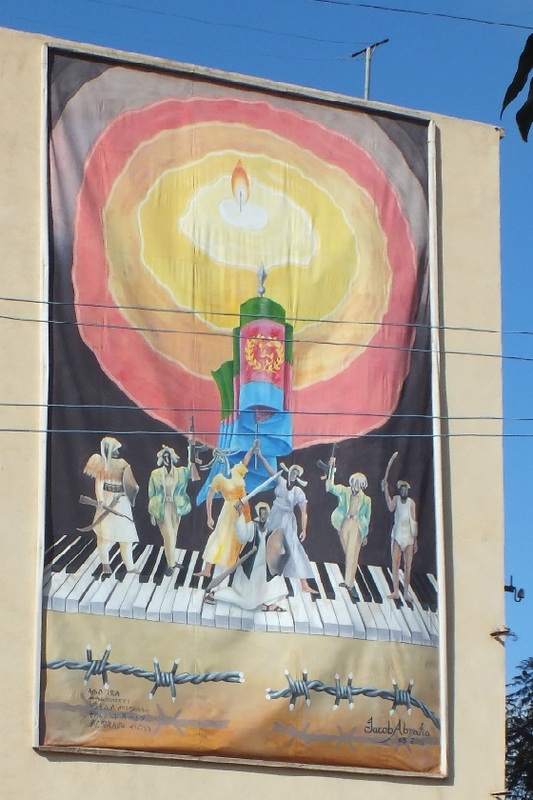 Wall painting - Marsa Teklay Street Asmara Eritrea. 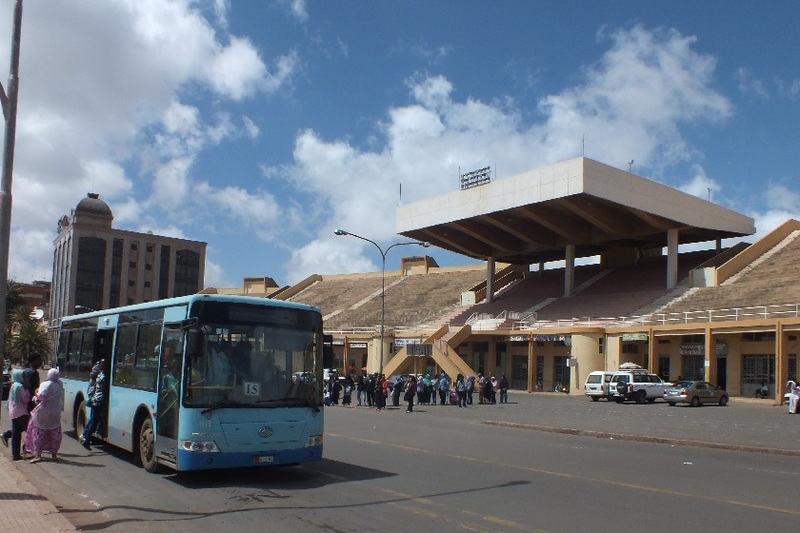 Bus stop - Bahti Meskerem Square Asmara Eritrea. Deceased in Holland, my beloved wife Tzege Keshi Mahdere Tesfamichael. 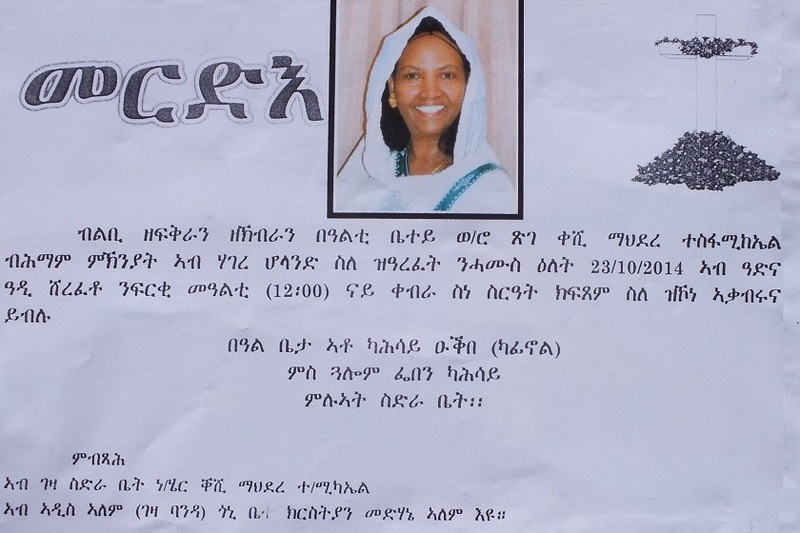 She will be buried in her village Adi Sherefoto on 23-10-2014 at 12:00.